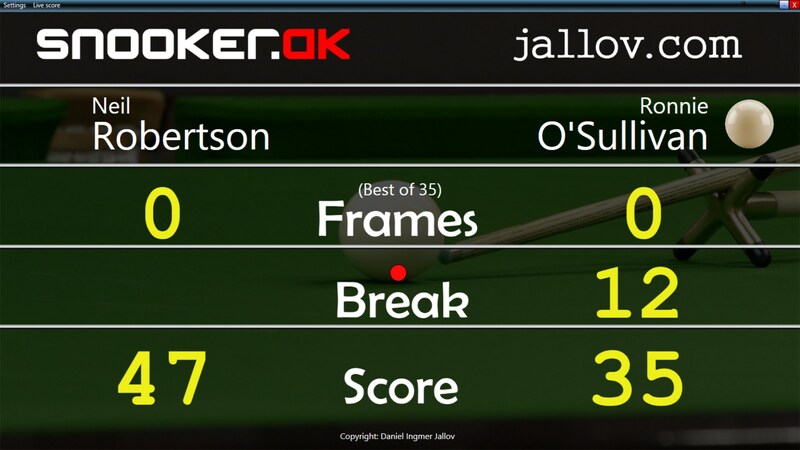 Scoreboard designed specifically for snooker. Supports easy match setup with player names and distance. Runs on one computer per table with wireless keyboard for entering scores. The Scoreboard is used in Copenhagen Pool & Snooker House, the largest snooker club in Scandinavia, on all of their 12 tables, and in several other clubs in Denmark. The Scoreboard has been used for livescoring and live streaming from the Danish national championships since 2011.